Are you thinking of creating a new extension to your property, or a porch to your entrance, that not only adds light and air into your home but also creates additional living space that can be tailored to your individual needs and style. Our conservatories can generate much more than just a little extra space. They also add value to your property and can transform the overall aesthetics of your home to create a more stylish and attractive result. At AMB Glass & Malvern Windows we can provide a wide range of conservatories in different shapes, styles and sizes allowing you to create a dream space for living, working or entertaining in. Whether you prefer a modern and stylish look or a more ornate design, we have styles to suit every property from new-builds to period cottages. Our range of conservatories includes classic Victorian and Edwardian structures and gable and lean-to options as well as bespoke conservatories that can be tailored to suit all tastes and budgets. All of our conservatories can be completely personalised with an extensive range of colours, frames and glazing options as well as decorative finishing touches. So, if you are looking to create a small and tranquil retreat or large and open-plan family area, we can help you develop an idyllic space that combines your preferred design requests with durable, thermally efficient and weatherproof features. Guaranteed high quality and performance - All our conservatories are designed to deliver the highest standards of heat retention and energy efficiency to create an environment that can be used all year round and in any weather conditions. You can choose from advanced features such as under floor heating and specialist air conditioning systems, as well as roof ventilation and temperature control solutions to help you create the ideal living space. The Victorian style conservatory is a long-standing popular choice for homeowners due to its striking exterior features and ornate design that has evolved from the quintessential Victorian period. 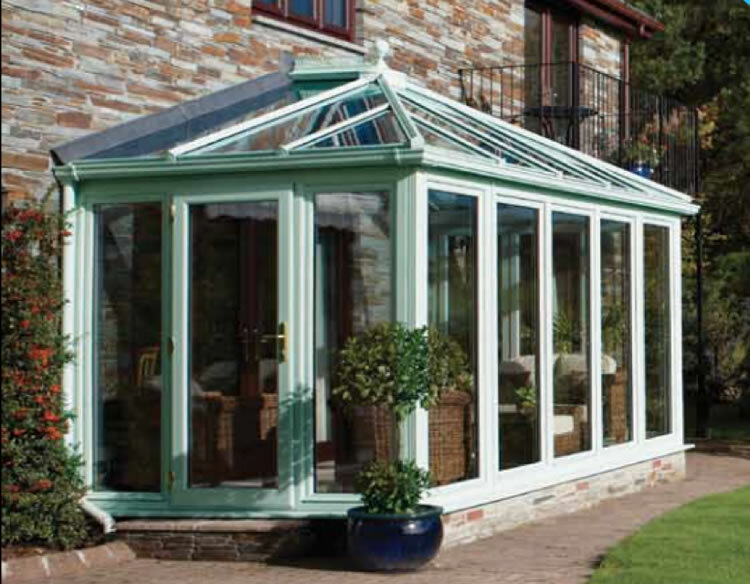 As well as the classic character and attractive aesthetics the conservatory also meets high levels of quality, durability and security. Whether you’re living in a new-build development or a period cottage, an Edwardian conservatory is an ideal addition to any home. Adding a touch of timeless elegance and additional living space, this choice of conservatory will not only make your home more comfortable to live in but will also increase the value of your house and make it a more desirable property. Designed to create a light and airy environment, lean to conservatories are an ideal way of linking your home and garden and adding a new and attractive dimension to your property. Not only will the addition create extra space and appealing aesthetics, but it will also help increase the value of your property. Perfect for all properties, the gable conservatory is particularly suited to smaller plots as the unique roof design helps create more space and the illusion of a much larger living area. The gable roof also creates additional light whilst the insulation features generate maximum heat retention enabling you to enjoy a bright, warm and airy environment throughout the year. If you are looking for a unique extension to your home that blends in perfectly with the existing aesthetics of your property and meets with your own individual lifestyle and tastes, then creating a bespoke conservatory could be the answer in helping you achieve your dream living space. Contact our friendly office to arrange for a free, no obligation quotation.